Description: A deciduous tree, native to Asia and tropical America. 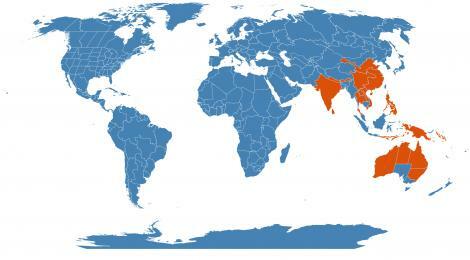 It is planted in warm temperate and tropical regions around the world. 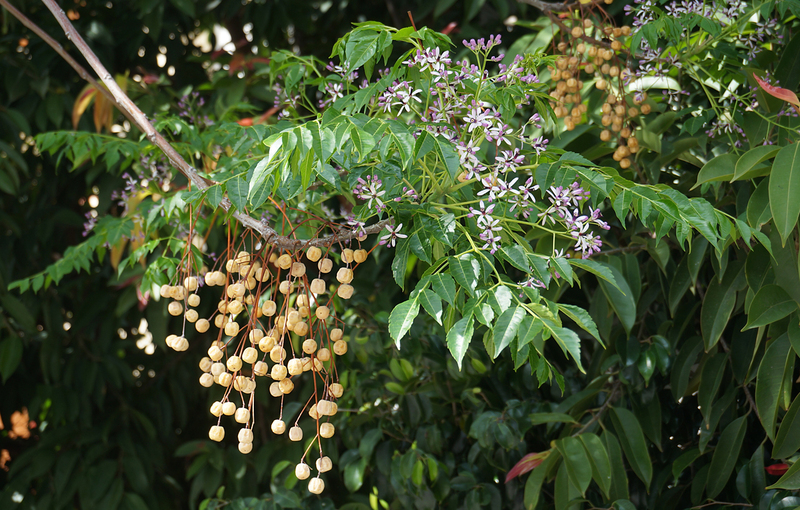 The bead tree has also been known to survive in areas north of Zone 7b. The tree has medical uses and the wood is used for carpentry. 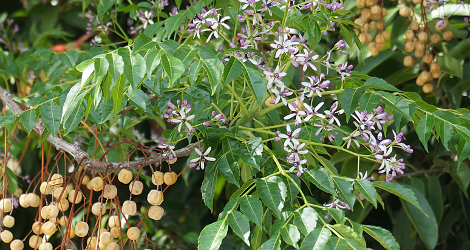 Also known as Chinaberry, Pride-of-India, Pride-of-China, Persian Lilac, Indian L., Paradise Tree, Syrian B.T. , and Japanese B.T. Fruits are poisonous to humans if eaten in quantity. The toxins are neurotoxins and unidentified resins, found mainly in the fruits. The Plant List (2013). Version 1.1. Last accessed on Tuesday, August 01, 2017. Melia azaderach at ARS-GRIN. Last accessed on Tuesday, August 01, 2017. 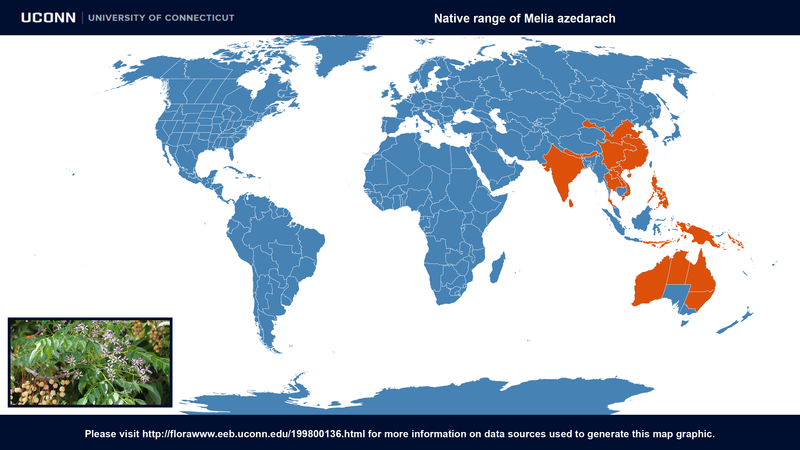 Melia azaderach at Global Biodiversity Information Facility. Last accessed on Tuesday, August 01, 2017. Melia azaderach at UF/IFAS Center for Aquatic and Invasive Plants. Last accessed on Tuesday, August 01, 2017. Image #00 (cropped) & #01 (original) by Anna Anichkova (Own work) [CC BY-SA 3.0], via Wikimedia Commons. Last accessed on Tuesday, August 01, 2017.